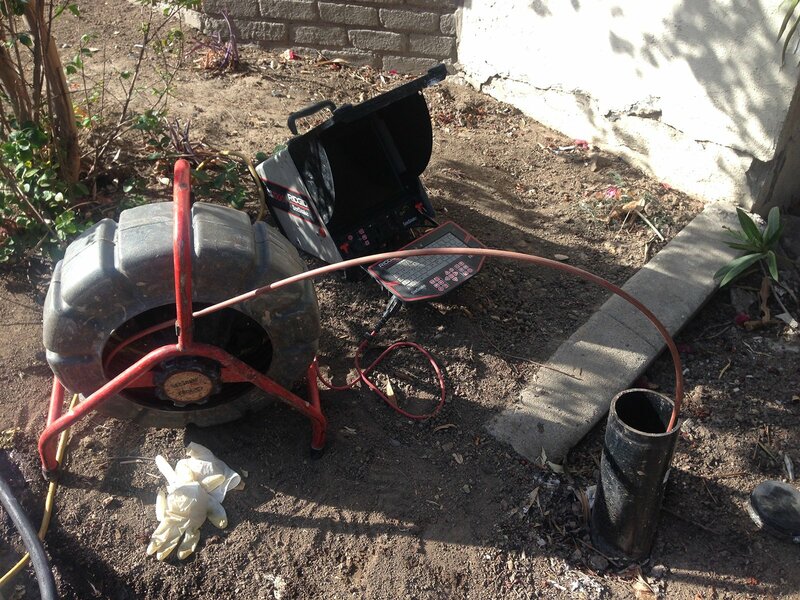 Rooter Drain Experts values your trust and always provides an expert cleaning service at an affordable price, servicing many cities in Los Angeles County for over 20 years with a 100% job success rate. We are proud of being a family-owned company that doesn’t use subcontractors. Our employees and equipment are ready to serve the people of L.A.
What are the capabilities of our state-of-the-art innovative technology? Sewer camera Inspection is the only 100% precise way of determining the state of your sewer pipes because it is the only method which provides our plumber a live feed of the insides of your system. We advise you to do a sewer camera inspection yearly or as soon as you notice a problem. Before you take any action, you need to know the precise cause of your troubles, and we are here to help you with our gadgets. Our technician inserts a snake-like controllable cable with a waterproof sewer camera attached to its head. He controls it from the entry point and views a live feed of everything the camera sees. You can also view the recording and have complete insight into your problem. Our sewer camera has a powerful lighting system so it will give us a clear picture of what’s going on in your sewers. After we’ve assessed the situation, we will advise you on the best course of action and give you the most effective and affordable offer for our services. By switching to this method, we upgraded our service and assured every client gets the highest quality sewer repair available. The traditional methods of diagnostics are inaccurate and are based on guessing, while we now have a clear picture of every part of your sewer system and we can determine the cause of your problems with 100% assurance. You can view the live feed with our technician and together decide on what best suits your problem, or you can leave everything to us. As mentioned, we value trust and client satisfaction and always strive to provide the best sewer repair at peak efficiency and at the lowest price. Why Is a Yearly Sewer Camera Inspection So Important? During the winter, Los Angeles County receives, on average, more than 15 inches of water. Safety is your priority, and your drains need to be 100% operational because it will save you a lot of money and trouble in the long run.